Albany-Rose Gardens caravan park Albany. Set on 12 acres, Rose Gardens Beachside Holiday and Caravan Park offers unparalleled views from the spacious, oceanview spa and beachfont villas. 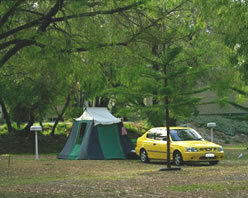 Whilst the caravan and camping area enjoys the shade and protection of a canopy of trees. 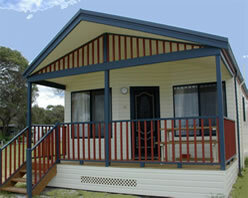 The Holiday Park has a large range of accommodation types to suit all budgets. 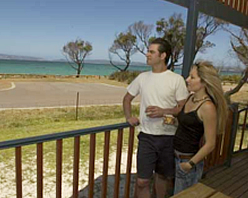 Rose Gardens Beachside Holiday and Caravan Park is the perfect caravan park for family holidays, wedding parties, honeymooners and fishing fanatics. Tennis and bowling enthusiasts can use the Sports Club next door, whilst the playground will keep the children busy. Acclaim Parks' Rose Gardens Beachside Holiday and Caravan Park look forward to welcoming you on your next visit to Emu Point, Albany. 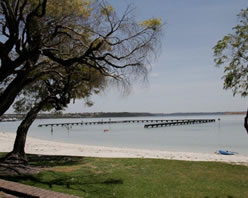 Rose Gardens caravan park a beachside Holiday Park, located right on the bay at Emu Point, with spacious oceanview and beachfront villas.